Welcome to Cosmic Smoothies, the #1 place for refreshments on this side of the moon! 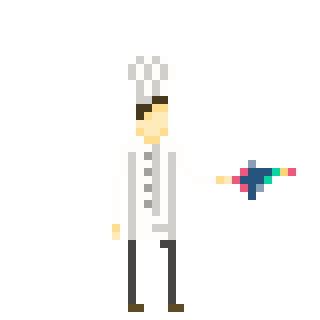 You will be playing as Chef T, a smoothie extraordinaire. Your goal is to shoot down the UFOs with your space gun and catch the right fruit for your customer's smoothie. Once you get what you're looking for, make a 3-point shot into the blender and shoot the button to get the smoothie! Make sure to catch the order and deliver it to your umbrella cart for satisfied customers! Q: Bullets are not colliding with UFOs! A: This seems to happen in Chrome. Please try playing in Firefox or download it!